Join us in London for a networking meeting with colleagues from around the country. 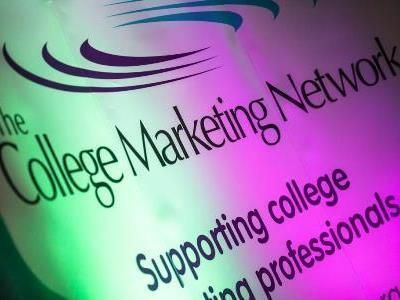 If you’ve been to one of our networking meetings before, you’ll know that they are invaluable for meeting colleagues, exchanging ideas and experiences, and making contacts – as well as hearing from fellow marketers and external speakers on a wide range of topics. Lunch and refreshments are included – and you have the chance to see another college! Experiential Marketing – Virtual Reality and how to reach your target markets. "This session will demonstrate how Virtual Reality has been embedded into effective and measurable engagement and recruitment strategies. It will show how potential students interact with college products and services using an immersive experience." With new platforms, features and technology seemingly always being labelled "the next big thing" it's often hard to know which ones to include in your digital marketing strategy. This presentation takes a look at the main ones that can lift your marketing and increase audience engagement - without making huge changes to your current plans or budgets. OR pay by credit card here for CMN member colleges and here for CMN non member colleges (Eventbrite site fees apply).